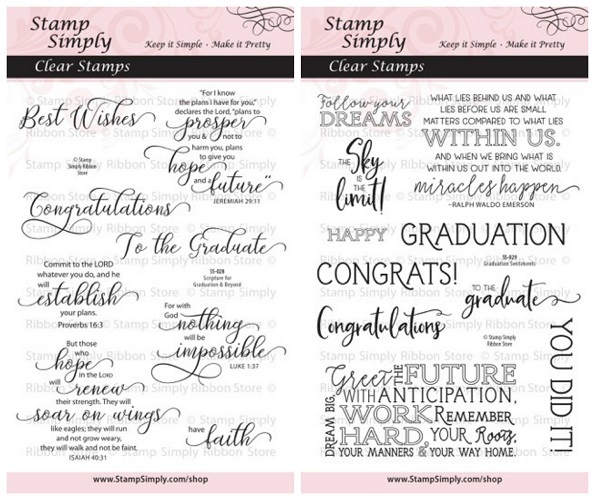 A simple tent fold card with the graduation blocked collage sentiment stamped repeatedly on the designer paper to create an overall stamped design. The window circle is then die cut for Mr. Franklin to look out! 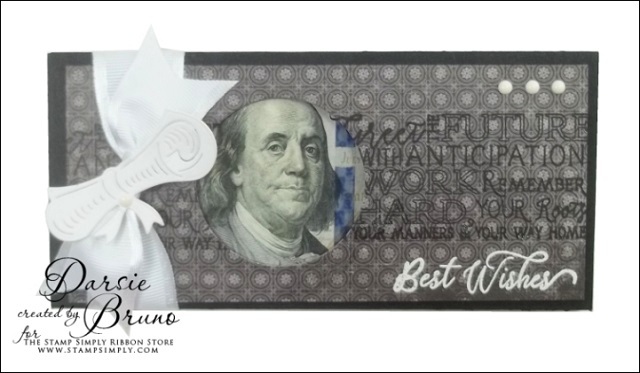 The white accents are perfect – the knotted ribbon, scroll, embossed Best Wishes and enamel dots. You can find Darsie’s post on her blog here. These are the two NEW sets we are showcasing this week and Darsie used them both on today’s money holder. Find our FULL April 2018 Release here - I think you’ll love the other sets, too! I ADORE this die set – it’s just perfect! 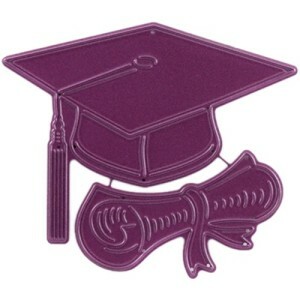 Find all graduation themed products in stock here. I love the beautiful sheets in this paper collection. Kaisercraft pads are always a stand-out for their beautiful prints, specialty sheets and die cut punchouts included in each pad. 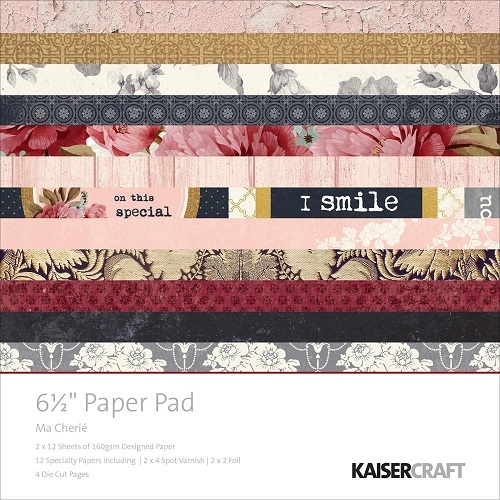 Find all Kaisercraft 6.5″ paper pads in stock here. 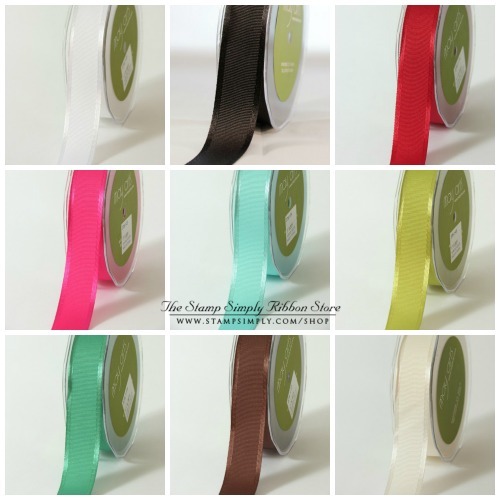 I always think of this as an “upscale” grosgrain – it’s so pretty with the stain edges. Find our FULL April 2018 Release here. NEW!!! – Tim Holtz Distress OXIDE inks and refills – SET #3 IN STOCK!!!! – NEW!!!! 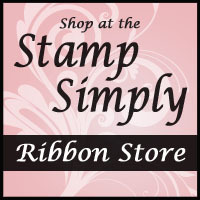 Tim Holtz Tonic Stamp Platform – REDUCED! ALL Kaisercraft Christmas papers REDUCED! Find more masculine themed products here. We’ll be back soon with more projects to inspire you using our NEW April Release sets.